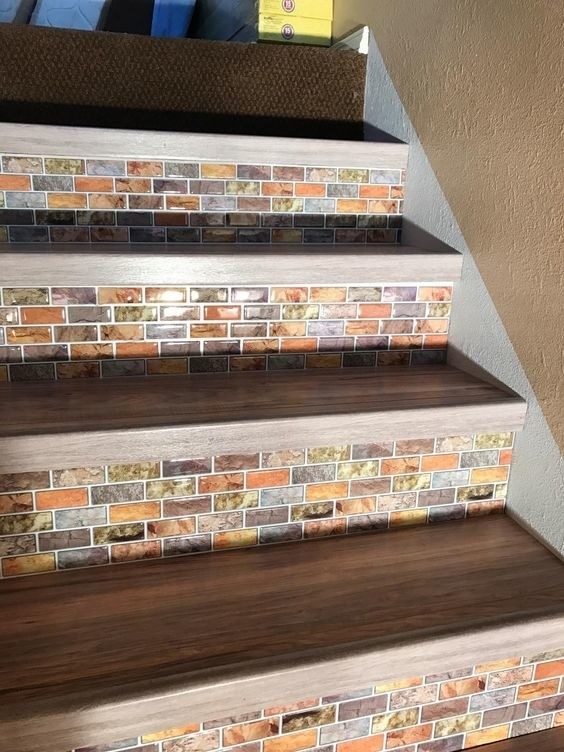 Dressing up your home on a budget? No problemo. 1. 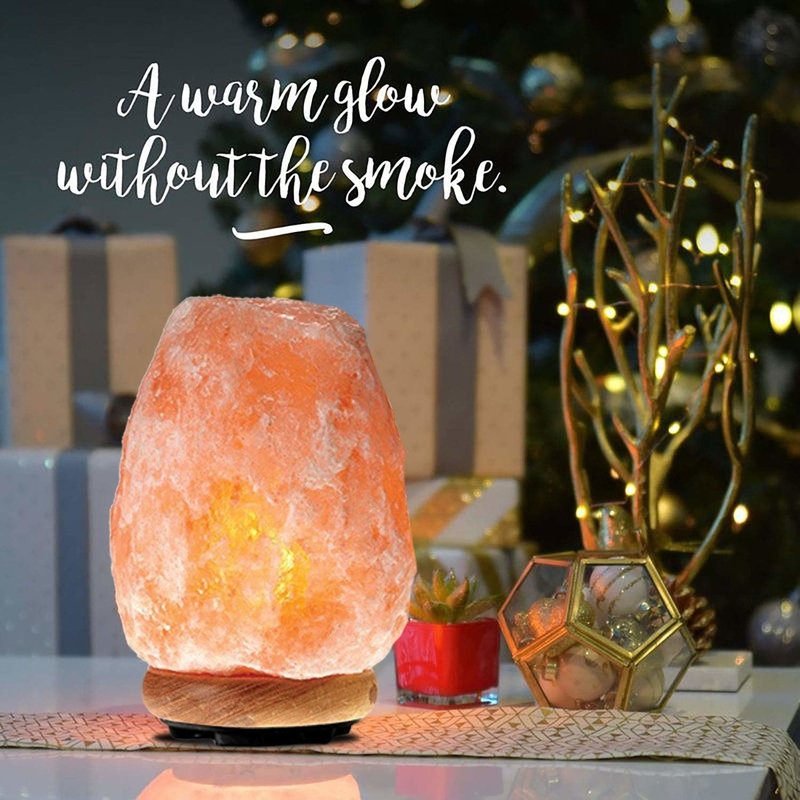 A Himalayan salt lamp for all of the aesthetic points, whether you show it off on your Insta or IRL while entertaining guests — or you can just keep the cozy glow all to yourself. Idk about you, but candles stress me out. 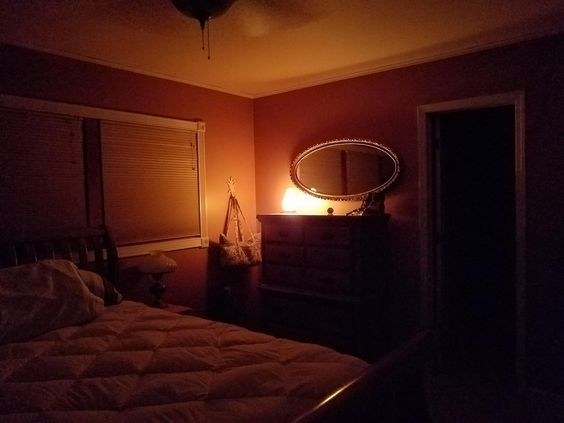 This lamp emits the same sort of the glow with with a preinstalled lightbulb, plus two extras (buy these replacement bulbs as needed), and a 6.6-foot cord with a dimmer switch to adjust brightness. Get it from Amazon for $19.99+ (available with a rubberwood or stainless steel base). 2. A polished bamboo wall hook mount to toss all of your hats, scarves, aprons, or to have as ~wall decor~ on its own. 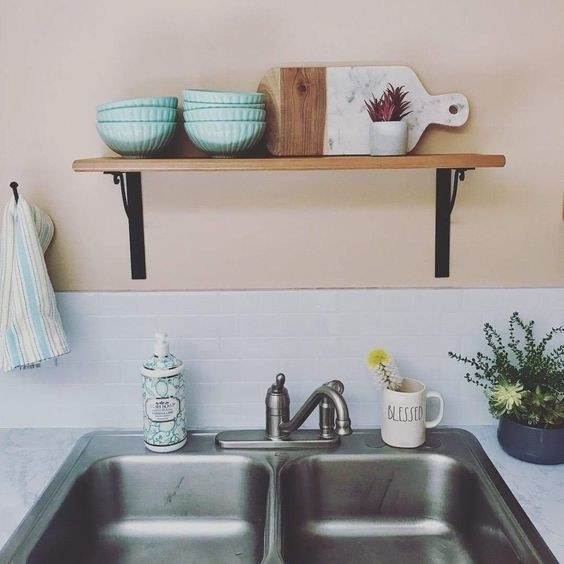 We love a multifunctional home piece around these parts. 3. 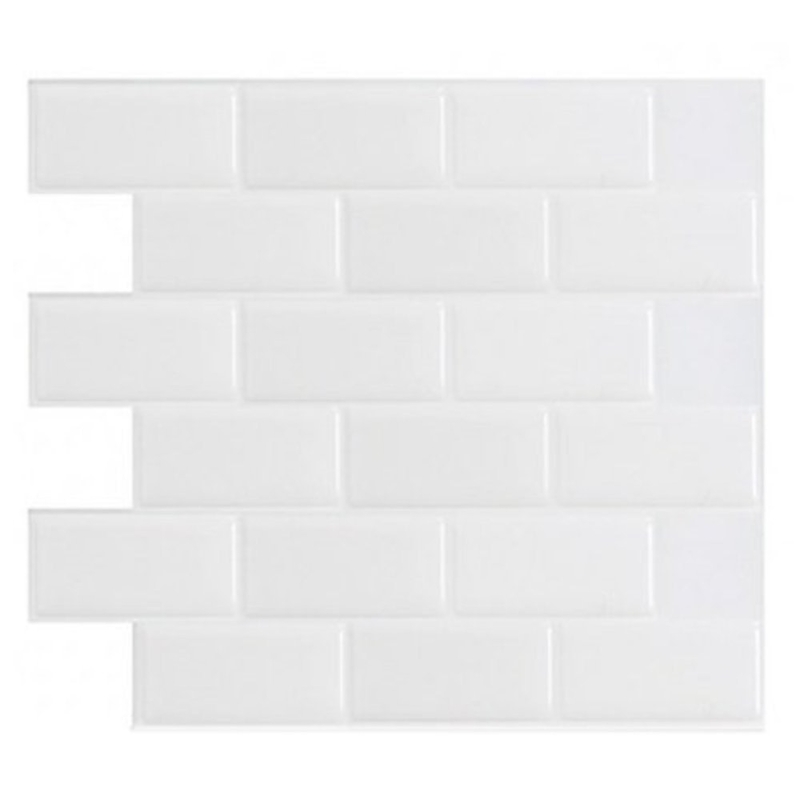 Peel-and-stick faux ceramic tile backsplash to give your kitchen or bathroom walls — or stairs, the possibilities are endless! 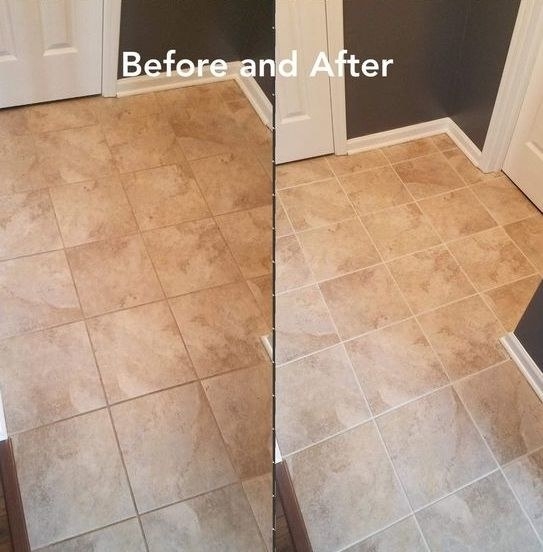 — an upgrade that doesn't require any actual tiling work. My oh my, you'll be hosting parties just to show off your ~handiwork~! Get one sheet from Amazon for $5.49+ or ten sheets for $28.97+ (available in six colors/patterns). 4. A magnetic knife strip that's sure to ~attract~ lots of eyes for its functionality, ~sharpness~, and allure — and having extra counter space is a big bonus for whipping up delicious meals. And check out our picks for best chef's knives on BuzzFeed Reviews! 5. 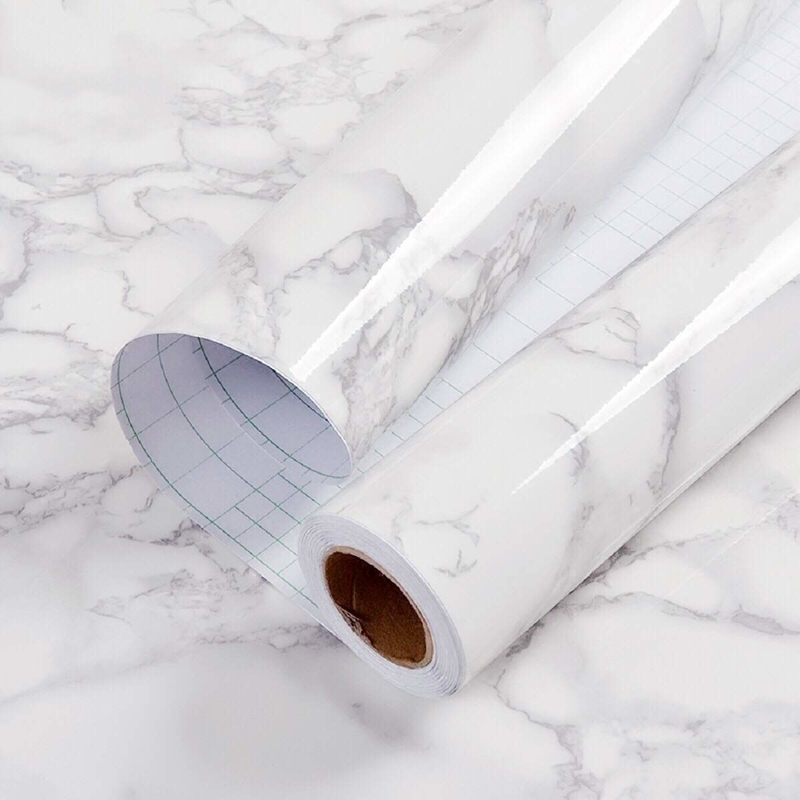 Glossy marble contact paper to jazz up your otherwise plain-looking tables and countertops — and it's a piece of cake to apply, even if you're nowhere close to being a DIY pro (hello, it me). 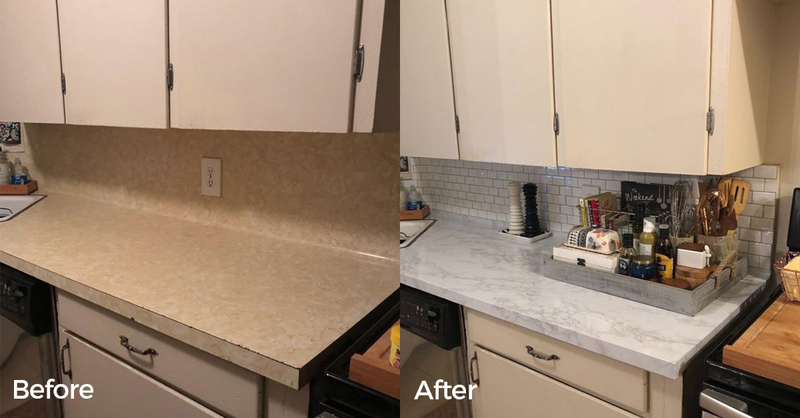 Read our deep dive on this contact paper, "This Marble Contact Paper Will Make Cheap Furniture Look Like It's From West Elm," to learn more about why people love it so much! Get it from Amazon for $6.98 (11.8" x 78.7") or $11.95 (17.71" x 78.7"). 6. 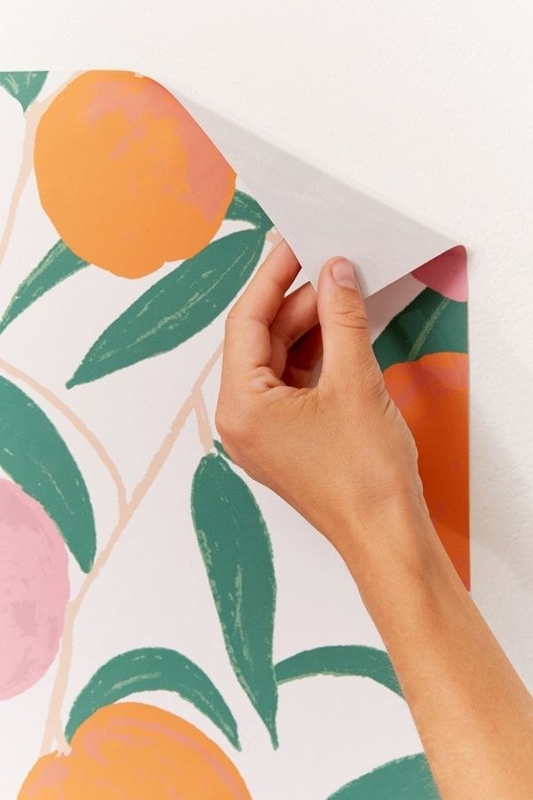 A pretty botanical shower curtain to make your bathroom the best-dressed room of the house, instead of just a place to do your business while staring at your phone. Stare at this curtain instead! 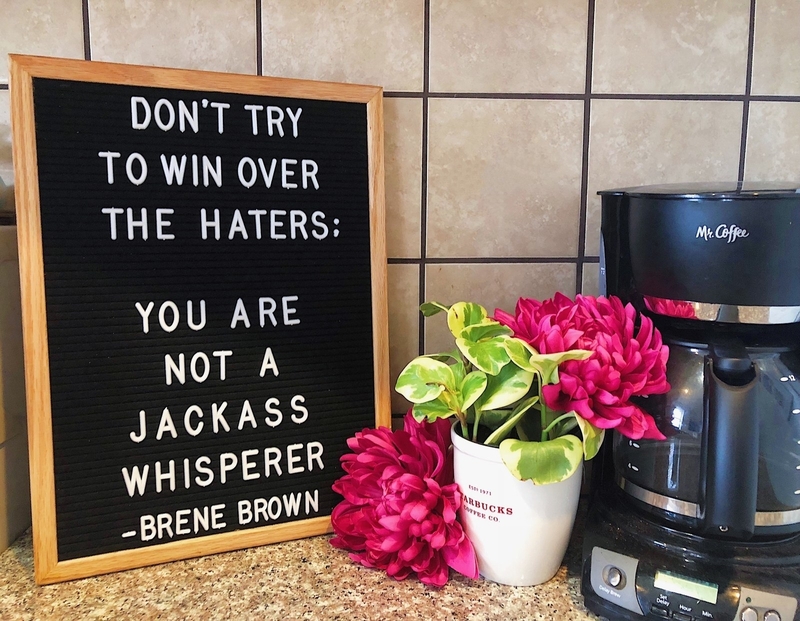 Get it from Amazon for $19.90+ (available in three sizes and 39 designs). 7. 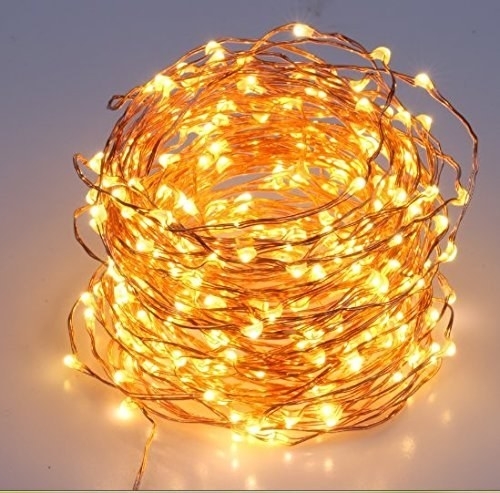 Copper string lights you can organize in about a million different ways for a warm glow that'll make your home feel like a magical oasis. Get a 40-feet-long string from Amazon for $9.99 (available in eight styles). 8. A branch-adorned two-piece duvet cover and pillow sham set you'll proudly display on your bed for all to see. "Excuse me, no coats or bags on the bed, please. Just throw them on the floor, please." —you to your guests. Get it from Amazon for $26.99+ (available in three designs and four sizes). 9. 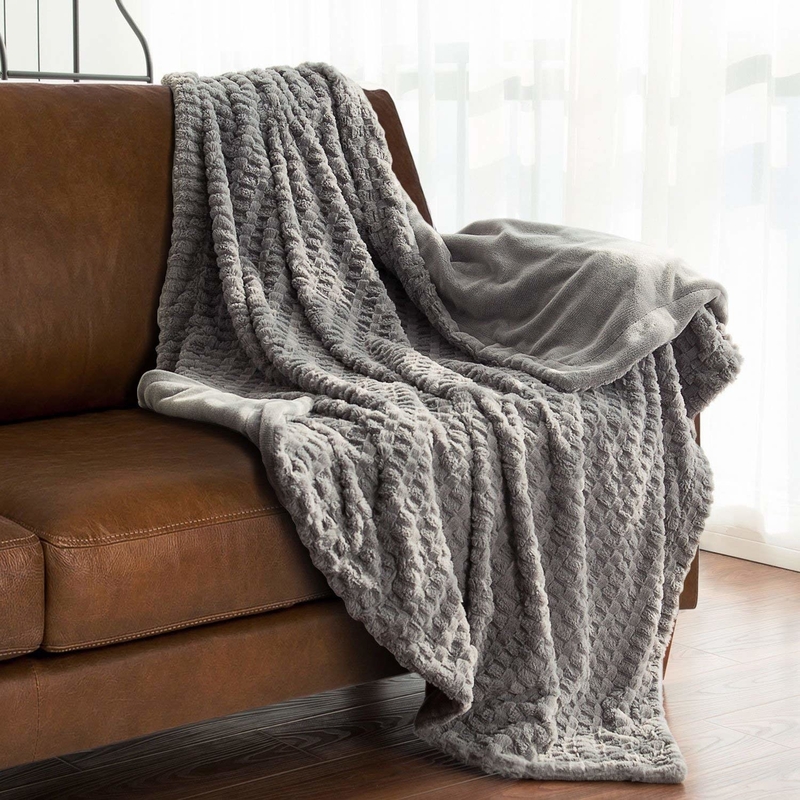 A fluffy faux fur throw that'll be perfect for throwing over a sofa or bed for ~decoration~ or as a cover up — and of course, it's a great snuggle buddy for you and anyone who's lucky to come over and experience the ~plushness~. Get it from Amazon for $29.99+ (available in three colors and two sizes). 10. 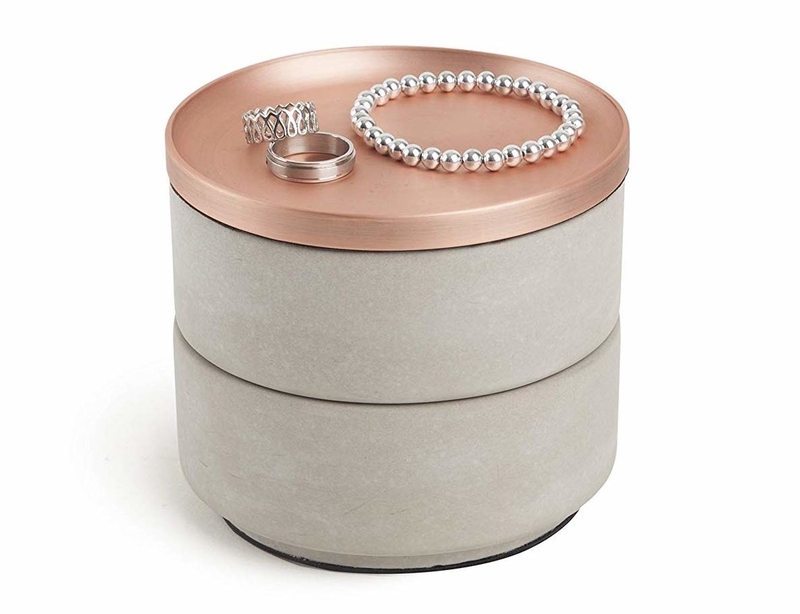 A stackable concrete two-tier jewelry organizer accented with a gorgeous rose gold copper lid that'll make all of your jewelry look 10x fancier and less tangled and strewn all over the place. 11. Tiny bb ceramic succulent planters that'll add ~life~ to your home without the stress of "OMG, I'm gonna kill everything." Simple, low-key, and chic — your new theme. 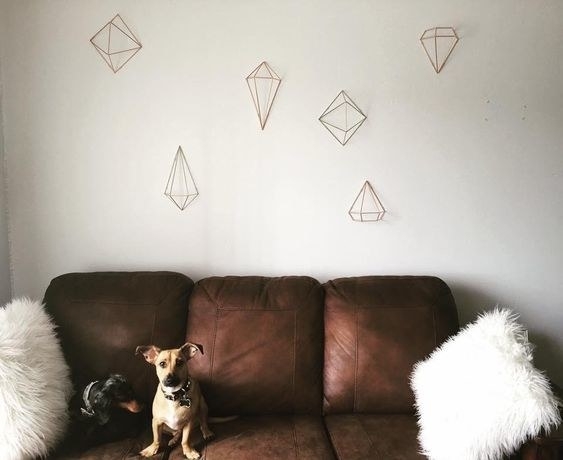 Get a set of six from Amazon for $17.93 (available in eight shapes/designs, as well as a single, set of two, and set of four). 12. 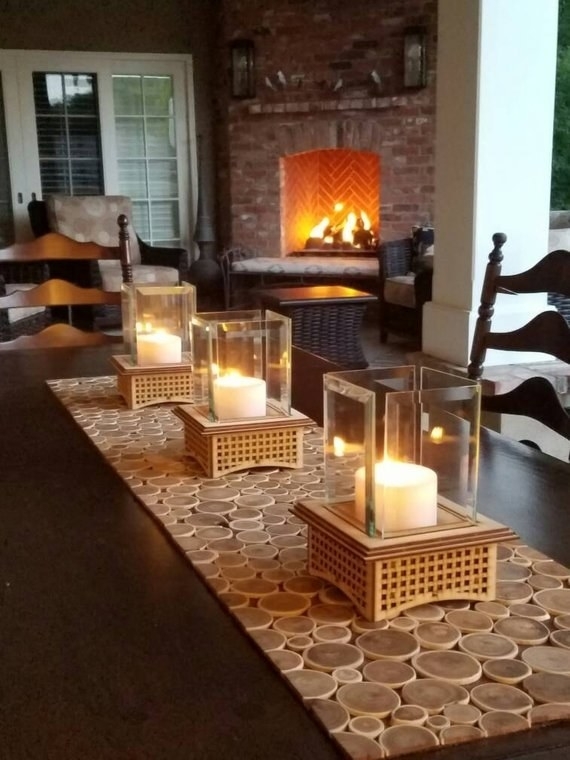 A petite tabletop fireplace (or candle holder) for your very own lil' campfire moment, you know, without having to deal with the freezing elements — just add fuel, and bam, s'mores just for you! Fuel isn't included, but you can buy some at Amazon. 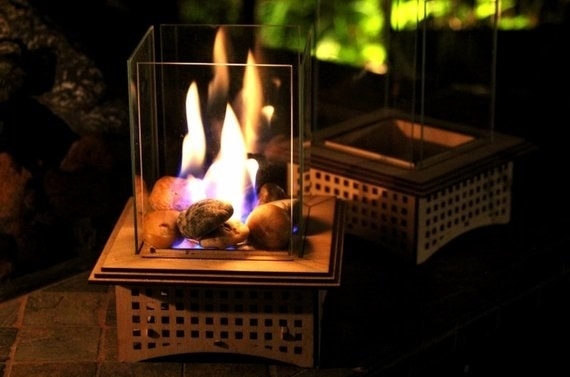 Get it from 1Man1Garage on Etsy for $29+ (available with or without rocks/sand — the sand is needed to disperse the heat of the flame away from the wood, but you can easily find some on your own if you'd rather not buy it here, and the lava rocks are completely optional/for decoration). 13. A rustic wall shelf organizer that'll keep everything looking neat by your doorway — which, after all, is your guests' first impression of your home. For your own sanity, it comes with a slotted box for mail (bills you need to pay on time), a shelf for your phone and small accessories (can't-live-without things you'll be really mad if you forget), as well as three hooks for hanging up your bags or keys (maybe you'll stop forgetting/misplacing them!). Get it from Amazon for $25.99+ (available in three colors). 14. 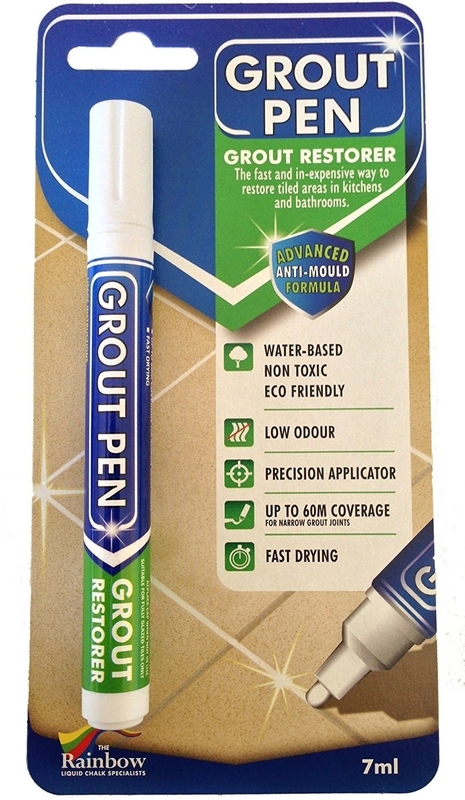 A mold-resistant grout pen to get rid of the built-up grime housed within your tiles — it covers up to 60 meters of grout area, so you know this lil' pen really packs a punch. 15. A tiny but mighty bluetooth speaker with impressive sound and clarity, all while it sits pretty and compact on a shelf, countertop, or coffee table. 16. A beautifully illustrated book any bibliophile will appreciate until the end of time — it's the perfect coffee table volume for all of your guests to admire and appreciate how ~cultured~ you are. From touring the world's most beautiful bookstores to peeking inside the workspaces of their favorite authors, be prepared to devour it all! Get a hardcover version from Amazon for $15.18. 17. 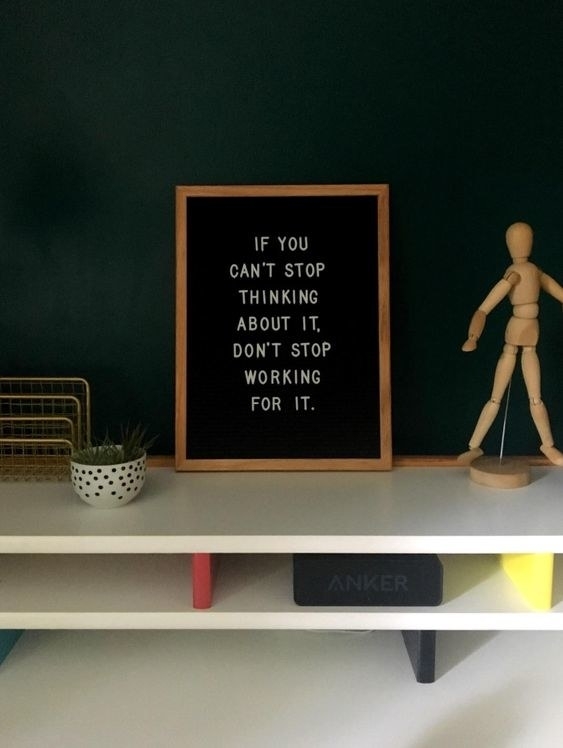 A ridiculously cute felt letterboard to help you say whatever you want — be it a sassy quote, daily reminder, or a "what's on the menu" board for your family or dinner guests. 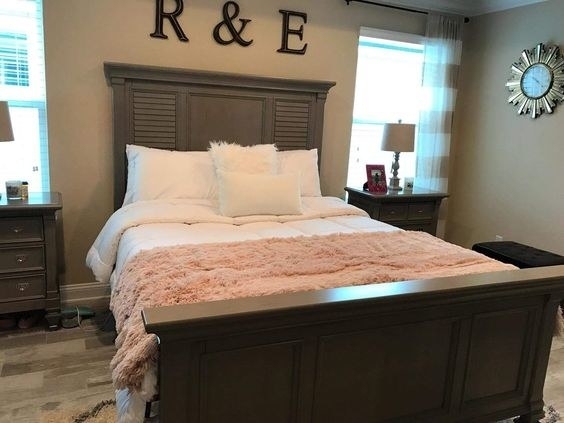 The letterboard is made with an oak-wood frame and felt backing, and includes 650 letters, numbers, and symbols (256 one-inch letters, 220 ¾-inch letters, 62 one-inch numbers, 52 ¾-inch letters, and 60 symbols). Get it from Amazon for $19.99+ (available in three sizes, three felt colors, and two frame types). Read our full review on the letterboard to learn more! 18. A pair of quaint cloud bookends for keeping your book collection looking neat and upright — and to match their dreamy, high-in-the-sky plot lines. Get them from Target for $19.99. 19. 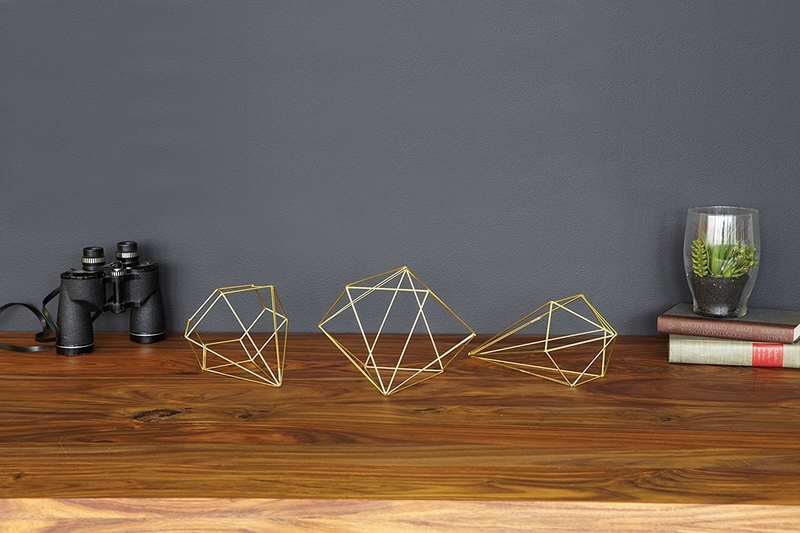 Eye-catching geometric wire decor you can hang on walls as they are or joined together to make full, 3D figures and plopped onto tabletops and displays. Get it from Amazon for $25.78+ (available in three colors). 20. Rose gold eating utensils to replace your regular ole silverware with, because let's be real, these are gorgeous and your guests will be mesmerized! Get a set of 20 (for four people total) from Amazon for $24.99. 21. 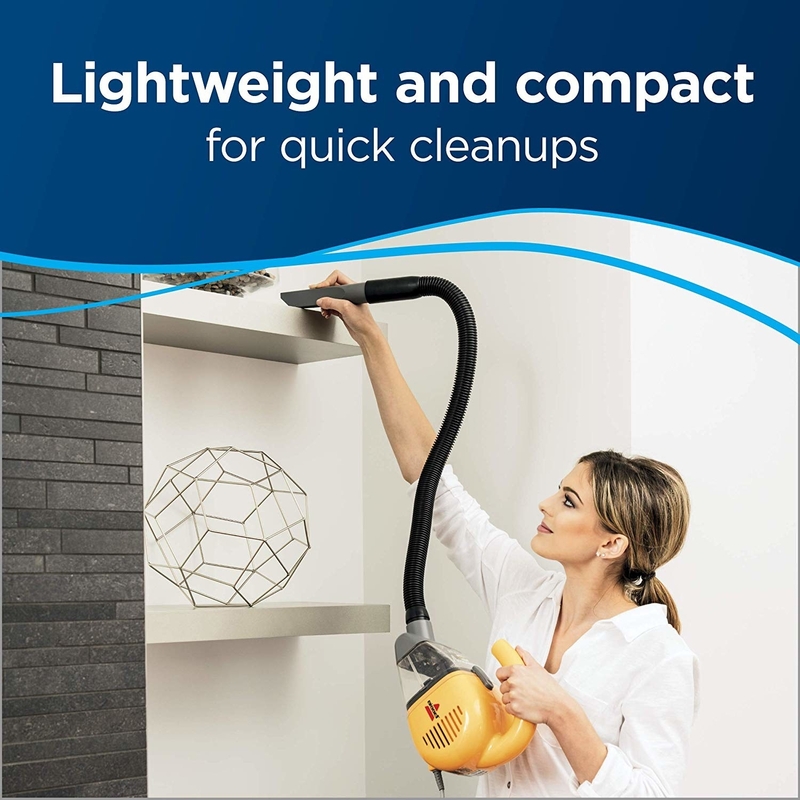 A handheld Bissell Cleanview Vacuum to help you with all that last-minute cleaning you swore you would do way before the party started, but such is life — and since it's cordless, you can race around the house and reach every corner without any hassle! 22. A charming and surprisingly indestructible area rug for an accent piece that doesn't feel like a huge risk — meaning, it just adds the right amount of pattern and won't clash with your existing furniture/decor. Get it from Amazon for $15.02+ (available in 16 sizes and shapes, as well as six colors/patterns). 23. 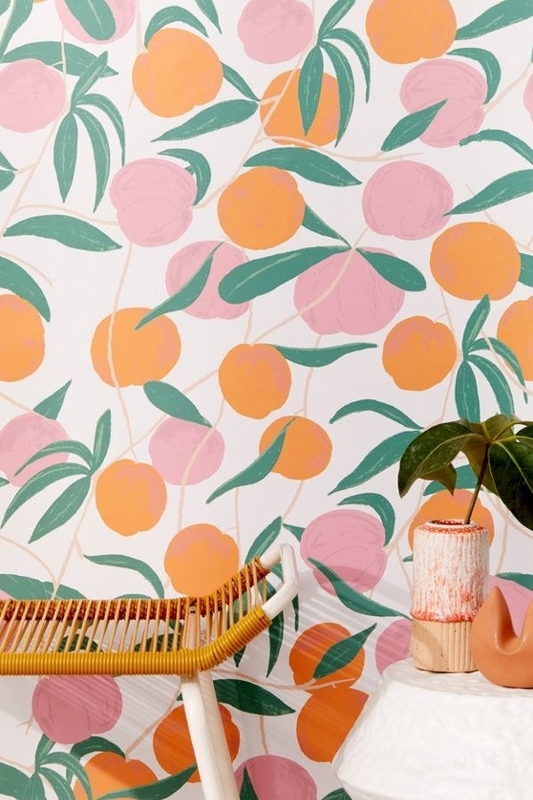 Peach-themed removable wallpaper to lend your room some cheerful fruit farm vibes and turn it into a place where everything feels simply ~peachy~. 24. The tiniest, cutest bed holder for your sponge that'll keep it off of the sink bottom and free from mold and bacteria – all while being a conversation starter. 25. 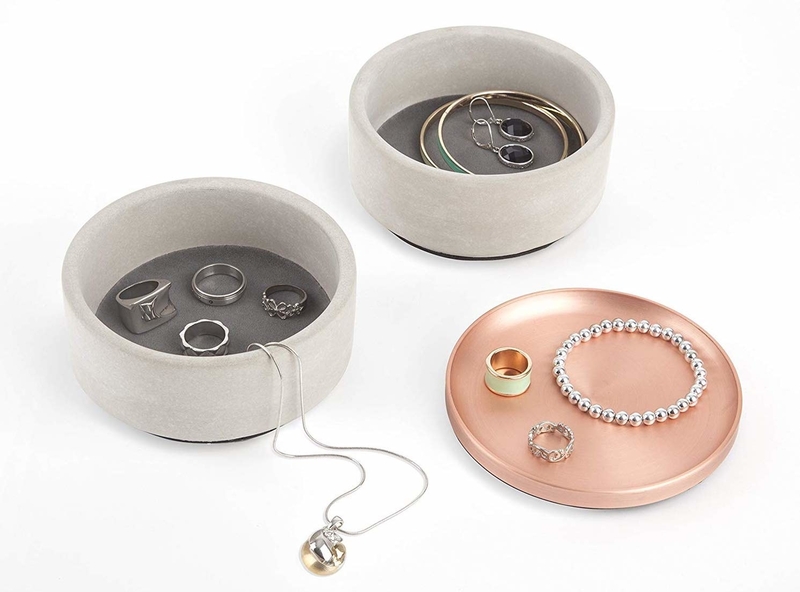 A classy AF gilded tray to display all of your perfumes, skincare items, and more in total style — people will ask, "Is this a bedroom for ROYALTY?" 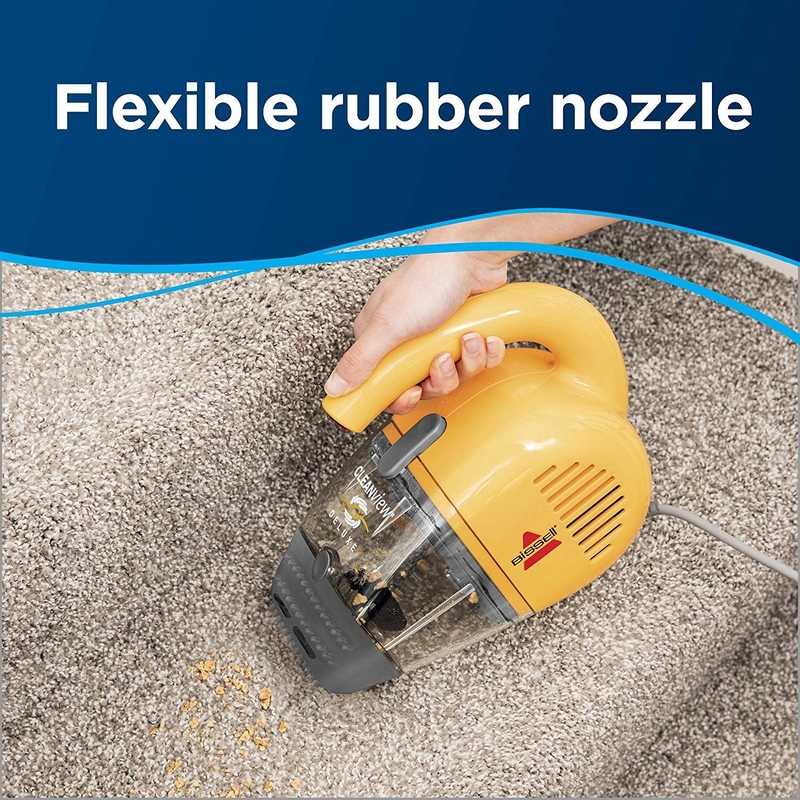 It's lined with felt on the bottom, so no need to worry about it scraping your lovely furniture and tabletops! 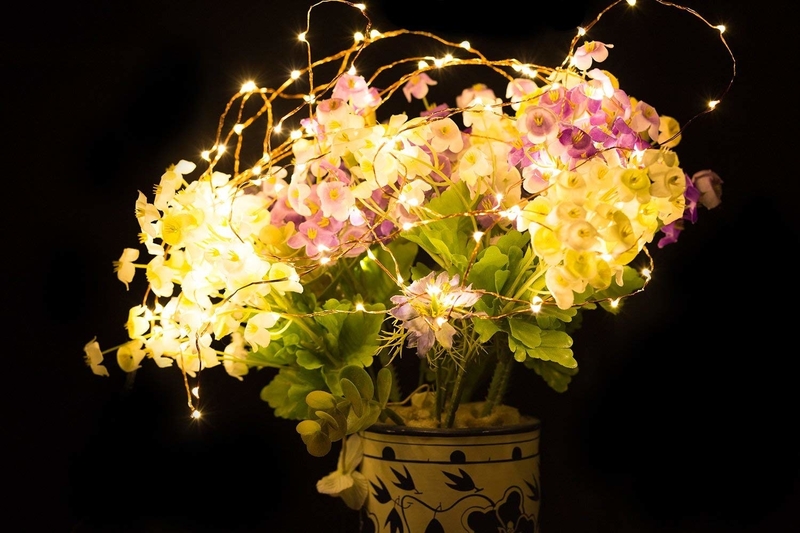 Get it from Amazon for $29.99 (the listing also includes 15 other decorative/organizational products). 26. A vivacious Costa Farms majesty palm plant for a living room statement piece — and getting a head start on next year's ~green thumb~ resolution. Time to start a plant fam! 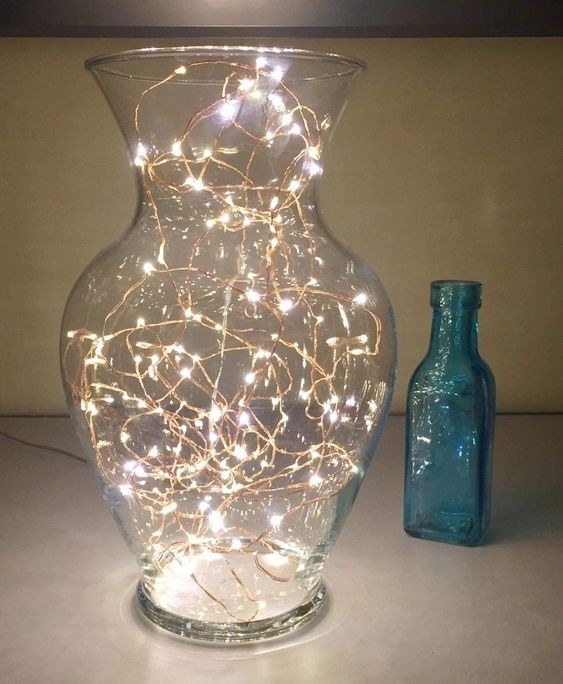 Get it from Home Depot for $34.33 or Amazon for $48.99 (usually three to four feet tall in size). Shop other Costa Farm plants on Amazon and Home Depot! 27. A classy dark gray glass carafe to store all of your signature ~Dark 'n Stormy~ cocktails in — you've earned your level up in hosting skills. Get it from H&M for 17.99. You, when you ditch your friends' plans for the millionth time because you'd rather be home chilling with all of your cute, new stuff!